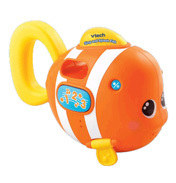 Vtech is a leading maker of electronic learning toys for children from birth to nine years old. 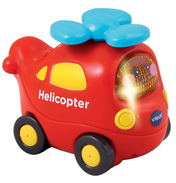 All the products are high quality and parents can be assured that their children will love the entertaining, engaging and age-appropriate content of the Vtech toys that help children learn while having fun. Video Technology Ltd (VTech) was founded in 1976 by Allen Wog and Stephen Leung in the USA. The following year they developed their first home TV game and sales rocketed. They began to develop more sophisticated games including their first Electronic Learning Product (ELP) in 1980. 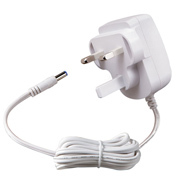 From here they began to sell their products overseas, introduced a PC range, entered the pre school toy market, and in 1998 was the market leader in North America and Europe for Electronic Learning Products. 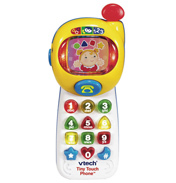 In 2004 they launched the V.Smile TV Learning System, which became one of Vtech’s most successful products in their history and has now been developed further as they have brought the V.Smile Motion to the market. Vtech Baby shelf – on this shelf there are products aimed at 0 to 3 year olds. Some introduce concepts such as letters, colours and numbers. There is a Sing and Soothe Mobile for the very little and Push and Ride Alphabet Train for the toddlers plus much more. Vtech Electronic Learning Computers shelf – this shelf has a range of laptops for children which have been pre-loaded with a wide variety of age appropriate curriculum like English, Maths, French, Science and Geography. There is a Challenger Laptop, a Super Student Laptop and more. Vtech Kidicreative shelf – there are a range of children’s Kidizoom cameras and video cameras on this shelf. 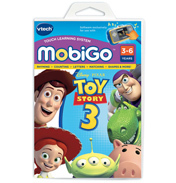 Vtech MobiGo shelf – MobiGo is a handheld touch screen educational gaming system. There are a variety of different games available from Ben 10 to Toy Story. 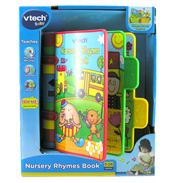 Vtech Pre School shelf – this shelf has a range of toys to encourage pre school age children with learning phonics, letters, numbers, spelling and letter writing. There are laptops for children aged 3+. Vtech Storio shelf – Storio is an animated reading system, it is an interactive storybook that enables your child to read and watch the story and then play games. 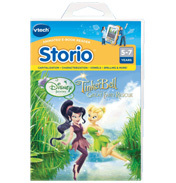 Again Vtech have made many great game stories to accompany the Storio like Mickey Mouse Clubhouse and Disney Cars 2. 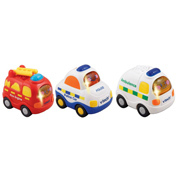 We hope you enjoy looking at all the Vtech products we have to offer here in the Toy Shop at WWSM.